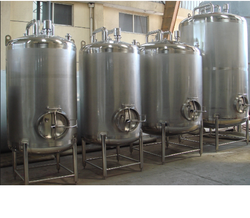 We provide a wide range of Storage Tanks for our clients based not only in India but also in UK. In our range of Storage Tanks, we offer Resin Storage Tanks, Transformer Oil Storage Tanks, Wine Storage Tanks, Industrial Liquid Storage Tanks, Chemical Storage Tanks, Petrochemical Tanks and Water Storage Tanks. These are manufactured from quality raw material and are quality tested on well-defined parameters before being delivered to our clients. We have been manufacturing a precision engineered Range of Stainless Steel Storage Tanks that are in confirmation with various industrial standards. Customized as per the specifications of our clients, these are appreciated for superior quality and excellent functionality. Our range of Resin Storage Tanks is Manufactured from quality 300-grade stainless steel and carbon steel in our state-of-the-art manufacturing unit. Known for its high storage capacity, leak proof and corrosion resistance, these are appreciated across the globe by our clients. 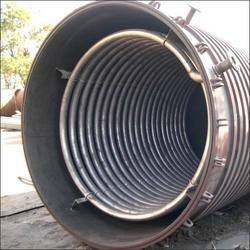 Special Industrial storage tanks that we offer are in accordance with the specifications of our clients and have been appreciated for their quality. 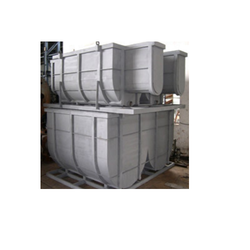 Available in standard models as well, these tanks are used for storing various liquids and other items and are used for electrical industry.